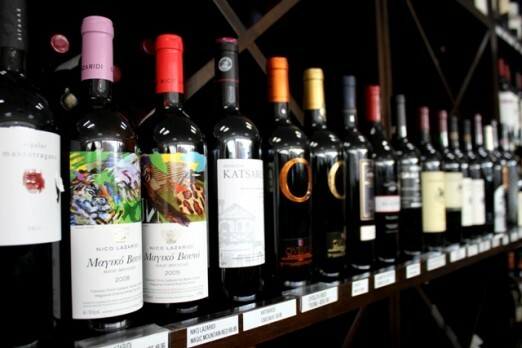 We Heart Astoria explores the world of Greek wines & liqueurs such as Ouzo, Mastiha, Tentoura at Omega Wines & Spirits. We love our vino and never mind a good cocktail or two over at We Heart Astoria. Recently taking a little team field trip to Omega Wines & Spirits, we visited this extensive wine and liquor shop in Agora Plaza, which offers so much more than the eye can see. Welcome with open arms by owners, Irene and Tony Gounaris, we dove into the complex and delicious world of international wines and liquors, many of them Greek. First a little history, which starts with Omega’s original location on 23rd Avenue, just around the corner from Agora Plaza. I fondly remember them when living in this neck of the woods and loving their great collection of reasonably priced wines. Even though I historically went for their California collection, which they also have in their current location (along with a nice representation from the Willamette Valley, Oregon), they’re really known for their Greek wines and liquors such as Retsina, Mastiha, Ouzo, Tentoura and other potent libations. We had the pleasure of doing a little wine & liquor tasting, accompanied by Irene’s lively commentary that helped us learn and appreciate everything we tasted. 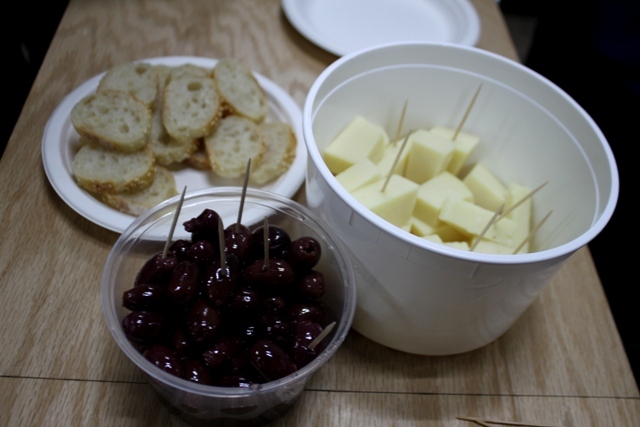 A nice accompaniment of a fresh baguette, kalamata olives and sharp cheese from friendly neighbors, Mediterranean Foods II and Artopolis made the tasting complete and helped bring out the rich flavors in our drinks. Starting with a distinctly anise flavored liquor, this one hails from Plomari, located in the Southeast part of Greece and tends to be very popular. It had a nice smooth finish and isn’t something that needed to be diluted by food accouterments. Mastiha’s small size hints at how this drink is popularly enjoyed, which is as a digestif. Similarly to Ouzo, it has flavors of licorice, which are more pronounced, maybe because of the way its made – from the resin of a mastic tree. Another popular Greek liqueur, Tentoura was my favorite of the three, as it was the sweetest and also boasted deep flavors of cinnamon. It’s not unlikely to combine Tentoura with something like brandy or rum, but we tried it in its pure form and really appreciated its complexity and aromatics. I can see Tentoura being delicious with a classic Artopolis baklava treat. 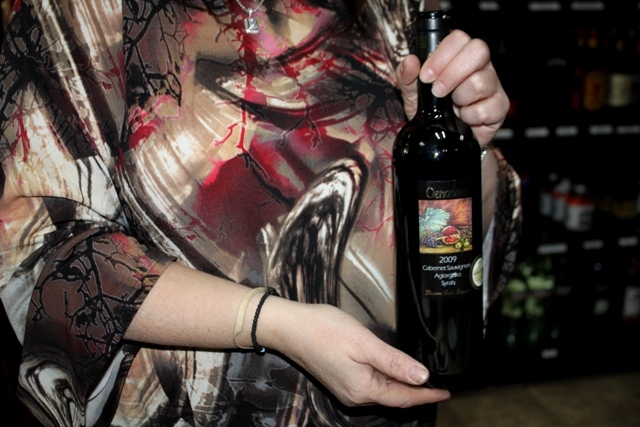 We ended our visit to Omega Wines & Spirits by purchasing a few of our favorites, mine being their signature Oenodea Cabernet Sauvignon, a best selling, well priced red, setting me back just $10. In fact, Omega’s prices are generally reasonable, given their expertly curated collection. Occasionally hosting weekend tastings, you can find Omega’s passionate staff pouring you a stiff drink, which proven by our experience, is a great way to branch out and change up your repertoire. Their friendly staff and adorable dog, Nestle always have a smile or a vigorous tail wag for their loyal customers.